Randi Canter graduate of McGill University in English and Theatre director/owner of Cabaret Kids and Centre Stage Theatre, has been teaching and directing children and teens since 1983. Randi, a graduate of McGill in English & Theatre program began teaching at the age of 17 years old. Randi’s love of children and acting lead to the forming of Centre Stage Theatre (since 1983). Randi was also co director of Childrens Productions Nursery school (formerly in the Wets Island) that catered to preschoolers ages 2-4 years old. Randi has been serving in C.S.L. St Laurent, Pointe Claire and primarily the West Island area for the past 27 years teaching theatre in many of the schools. 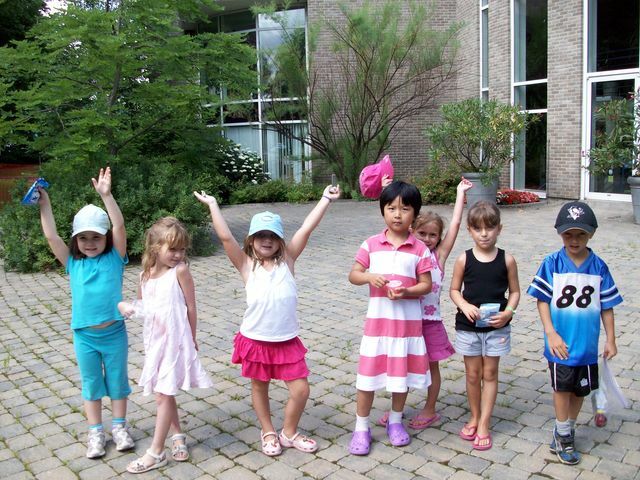 In 2000, Cabaret Kids Day Camp was established, presently called Cabaret Kids Performing Arts. The excitement of stage acting, dancing, vocal and film continues as both Cabaret Kids and Centre Stage Theatre, Vocal & Broadway Bound, offers the highest quality of programming. Randi’s enthusiasm, energy and desire to inspire those that love the theatre, continues all summer long at Cabaret Kids camp of the arts. Senior staff that Cabaret Kids hires are either dancers or actors from John Abbott College, McGill conservatory of music, Dawson College and Vanier College. These staff are trained in their field of expertise as all have taken extensive years of dance training at many top schools in Montreal. The same applies to our drama, vocal and film specialists. Most are previous campers of Cabaret Kids who have come to camp as campers and loved the program. Each potential counsellor is interviewed and all references are checked to ensure quality staff each year.